RM400 cash giveaway to the agent with the most verified listings uploaded every 2 weeks, that’s RM800 in total! Winners will be contacted the following of each week by a Bumbung rep, so start uploading your listings now! Contest period now till 11 August (Thurs) 2016. Step 1: If you’re not a Bumbung agent yet, download the Bumbung for Agents app from the AppStore or Google Play Store. Create account and complete your profile. Step 2: Select My Listing under Menu, and then tap on Add Listing. Fill in all the necessary info and submit. This contest is only valid for registered property agents in Malaysia. The contest period is from now till 11 August 2016. All agents must own a Bumbung account. Property listings must be complete and unique to be considered a valid and verified listing. Duplicated listings and incomplete listings is invalid. The count for uploaded listings by agents will be resetted every end of the competing date at 12:00am. A Bumbung agent will contact the winners via the mobile number registered in the Bumbung app the following week. The Organizer reserves the right to contact a new winner if selected winner(s) are not contactable. 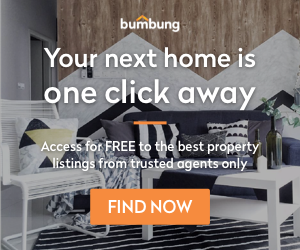 The contest is organised by Bumbung.co (“the Organiser”) and is open to all Malaysian citizens, permanent residents residing in Malaysia and foreigners who are registered property agents in Malaysia. The Campaign will run from now till 11 August 2016 (“the Campaign Period”). The Organiser reserves the sole and absolute right to alter or end the Campaign at any time prior to the expiry of the Campaign Period without giving any prior notice and no compensation in cash or in kind shall be given. Registered property agents (“the Agents”) must register as a Bumbung agent by downloading the Bumbung for Agents mobile application (iOS or Android). Agents are required to include their name, mobile phone number, email address, company details and REN ID for further communication and verification purposes. Agents must upload completed and verified listings to take part in the contest. Week 1-2 winner will be judged on the number of unique completed and verified listings uploaded from 1 May till 3 July (Sun) 11:59pm, where else Week 3-6 winner from 3 July (Mon) 12:00am till 11 August (Thurs) 11:59pm. The Organiser reserves the sole and absolute right to reject any Agents deemed ineligible (be it under these Terms & Conditions or has engaged in a conduct that the Organiser considers inappropriate or unacceptable). Bumbung.co reserves the sole and absolute right to withdraw, amend and/or alter any part of the whole terms and conditions in relation to this Campaign at any time without giving any prior notice to the Agents and the Agents agree to be bound by those changes. Bumbung.co’s decisions in any matter in relations to the Campaign shall be final and conclusive. Bumbung.co shall not be liable for any claims by the Agents or third-party claims or losses of any nature, including but not limited to, loss of profits, punitive, indirect, special, incidental, or consequential damages or for other damages and any related claims of any nature, including direct, indirect, third-party, consequential or other damages resulting from or in connection with this Campaign.